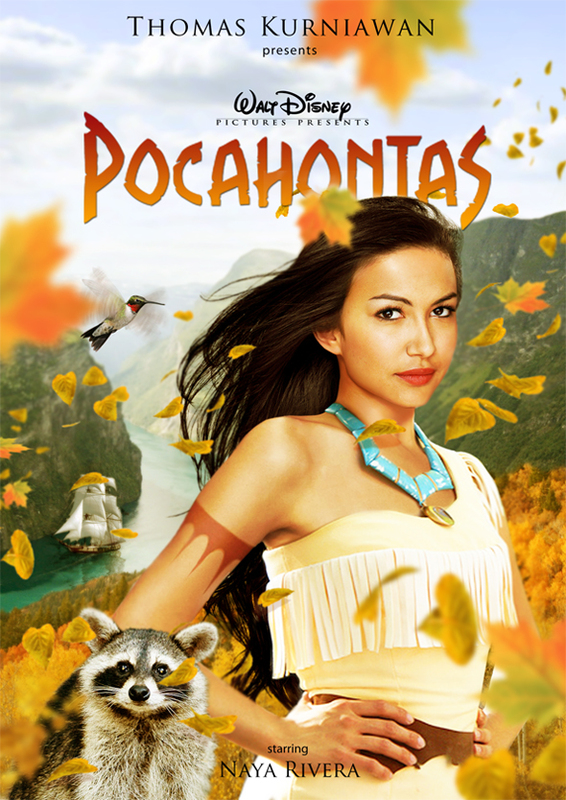 Finally I finished my New Pocahontas poster with Naya Rivera as the role... 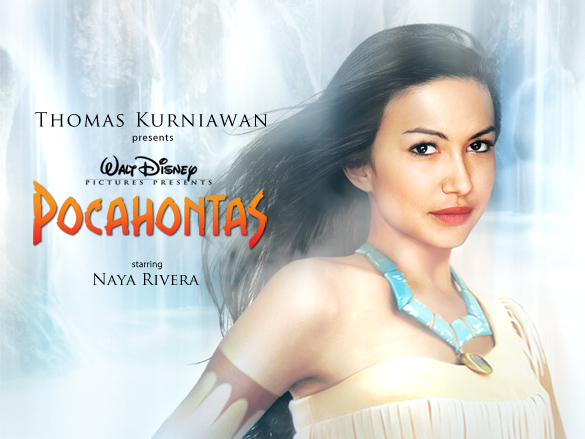 I hope Naya match as a princess of Indian... and for this poster I made 2 alternatives look... The first one I put pocahontas in waterfall background and also the mist... and for the second I made her standing on the top of the mountain... and don't forget to put maples leafs which blow by the wind... so it gave warm color of the autumn... and I hope this poster can represent the ost. "Colors of The Wind"..
Can u make a tutorial to make this?? ini santana kan? pemain dari Glee? Awesome :) I was hoping for a movie... but this awesome. Awww I was hopeful for a movie. This is awesome work. I wish I could get a poster. Very pretty, but age wise, Angelina Jolie is the better fit. If you were going for a young Pocahontas, this young lady would definitely be a perfect fit. Awesome job! You may try "Jennifer Lawrence" of Hunger Game next time. She has similar feel with Pocahontas. Shay Mitchell would make a great Pocahontas! What software do you use if you don't mind me asking?